Hello beautiful people, it's been two weeks since I started Slimming World and let's put it this way - I have been REALLY naughty this week. Unfortunately 3 weeks ago we lost Justin's Dad, Phil. He was a great man and loved his family sooo much. I can now see where Justin gets his family orientated traits from and it's so endearing to learn the similarities in the two more and more as the family has shared so many wonderful stories about Phil in this very, very difficult time for us. We decided when we started Slimming World that on occasions such as holidays, birthdays and family events that we would not be so careful what we eat, we could have a drink and not calorie count. So that is what we have done, the funeral was Friday and Justin's birthday followed on the Monday, we've eaten like pigs AND YOU KNOW WHAT?!! I feel terrible for it. During our 4 day binge of pizza and fizzy drinks we felt terrible, bloated and so very tired. Isn't it crazy how food can affect your mood? I was so angry and moody! I couldn't wait until today (Tuesday 4th Aug) to get back into my Slimming World routine of fresh veg & fruit and mug shots. Being on this plan for just a week and a half made me realise after a 4 day binge the state I was in before I started Slimming World. The aching and exhaustion is worth no pizza or burger EVER. I'm so glad that we are back on the wagon and moving forward to positivity. I am still struggling with hunger pains and this is not normal is it? I think because I tell myself this is a diet not a lifestyle, I make myself think I need to go hungry. My friend Hannah at work is a fellow Slimming World follower and is always shouting at me because I am letting myself go hungry "There's no need for it Rebekka!!". Amy has been on my case for letting myself go hungry too, and they're both right there's absolutely no need for it. I don't know why I am doing it, but the girls at work are SO supportive and have given me millions of snack suggestions which I am looking forward to incorporating into my Slimming World journey, so fingers crossed next week I can let you know that I am no longer hungry, haha! I am getting really stuck in with making my own syn free recipes, so many sauces that can compete with any packet sauce and I have started to make some crazy delicious dinners. I will be doing some Slimming World recipes on my blog, but I need to perfect them first, so watch this space. Thank you for reading, if you are enjoying my Slimming World posts you can subscribe to me right here, to make sure you never miss a post! 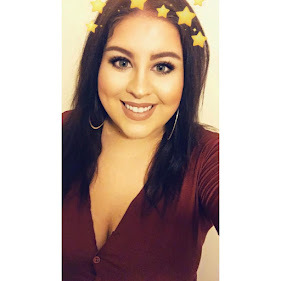 Please leave me a comment below if you're on Slimming World & have Pinterest boards or blogs that can inspire me further and I would appreciate ANY advice! Lots of love until next time! I have been doing Slimming World for a few months now. I have wrote about it a few times and have actually just posted a food diary this morning. I'm having a bit of a wobble lately and blogging about it and reading other peoples story's helps me get motivated again and stay on track. I think a wobble is really common - keep going and know that we're here supporting you. I've never done Slimming World so can't offer any more help.